The Intel P35 chipset has been around for quite a few months now – it turned out to be so good that it made it into our end-of-year awards last year, where we gave it the Best Chipset award. 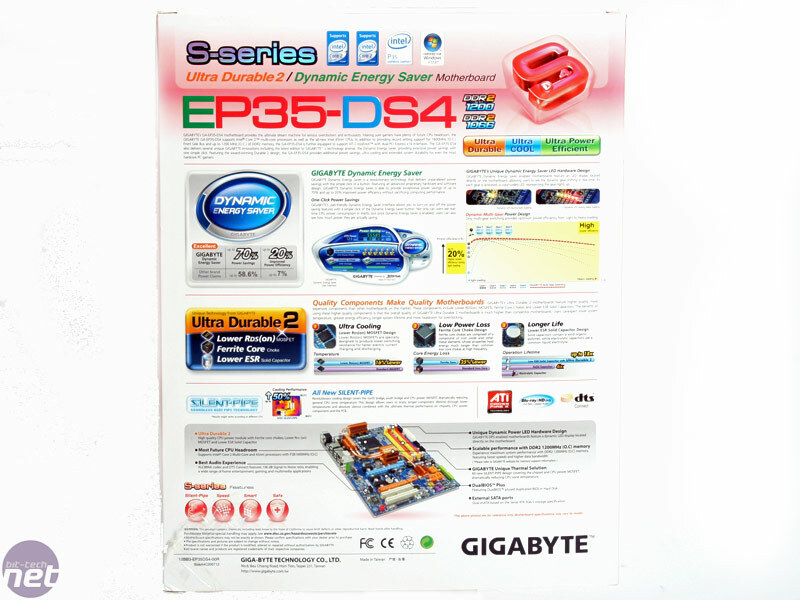 We’ve already looked at one of Gigabyte’s P35 boards, the Gigabyte GA-P35-DS3R; a board that has flourished into an exceptionally popular and inexpensive product, providing an awesome price-to-performance (and overclocking) ratio. 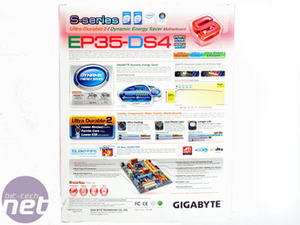 Gigabyte recently revamped its whole P35 range with the EP35 series motherboards that include a new Dynamic Energy Saver (DES) software/hardware combination that adjusts the CPU power phase use on the fly to maximise the efficiency of the power subsystem. For example, when idle it will just use two power phases, but under heavy load it will use four to six (or more, depending on the motherboard – the DQ6 boards have up to 12 phases). 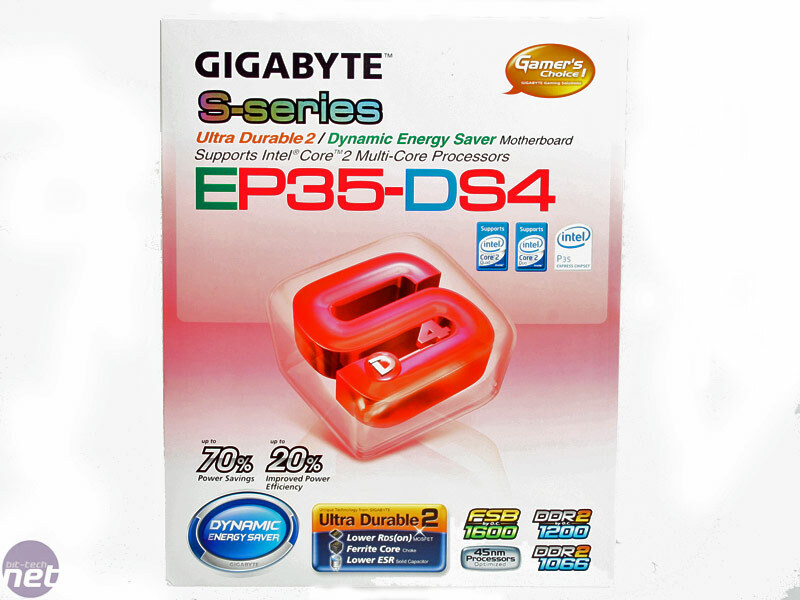 It falls directly in line with Asus EPU engine; however the EPU works by a combination of clocking the CPU front side bus in addition to a less refined CPU phase adjust model. 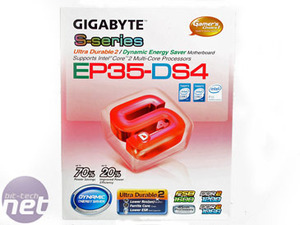 The Gigabyte GA-EP35-DS4 has a bit more hardware than its mainstream DS3 range, however it's still relatively inexpensive – well within the appropriate budget for many in our community and it still has the full Ultra Durable 2 feature set. Those upgrading now might be tempted by an Intel P45 just a few months away; however, it could be DDR3 only if rumours are to be believed. The included bundle is really quite complete and although there aren't quite enough SATA cables for all the sockets, we accept this because it's not the most expensive all-singing-all-dancing DQ6 model. Besides, four is still plenty to start with and there's still the eSATA bracket included that turns a couple of the internal ports, into external ones. We’ve seen it before but still think it’s a fantastic addition as it gives the option of eSATA or eight internal ports, maximising choice. 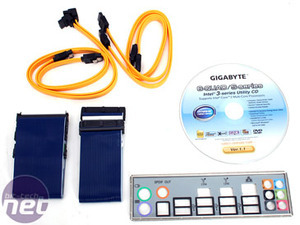 It's not as elegant as including the eSATA on the rear I/O, and it takes up a PCI slot space in your case, but it includes all the cables necessary to use even an internal hard drive, externally. 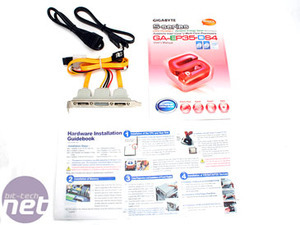 Other than that – there's a hardware installation guide in addition to the comprehensive manual which includes plenty of detail about the board, BIOS, Gigabyte features and how to use the software and RAID components. 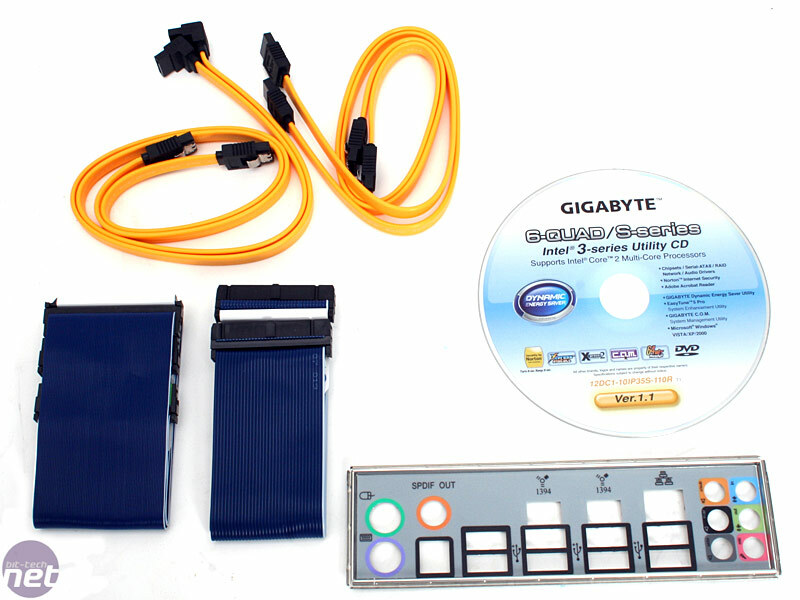 The driver/utility CD includes everything you need, including an auto-installation for the new motherboard install that allows you to install all the drivers with a single click.